The basic premise of both the protests is essentially the same; bring justice to the millions who have lost their money. For processes that blatantly ridicule capitalism, isn’t this a capitalistic demand in itself? The reason I never really like these strict economic concepts like capitalism or communism is that somewhere in their implementation, their definition gets distorted. Micheal Moore is the perfect example of such a distortion, on one hand he talks of the extreme results of capitalism (Capitalism: A Love Story- a good watch!) and on the other, ends up appearing for support in the Zuccotti Park, lower Manhattan and talking about his upcoming book! Now an activist who blatantly banishes capitalism is out there SELLING his books to the world. Explain how that is NOT capitalistic! The campaign, now being compared to Tahrir Square (what protest isn’t? ), started off with good intentions, with every decision being made after a vote from the crowd. But as the hoopla grows, celebrities trickle in because supporting them is “cool”. And with the celebrities walking in the power slowly creeps away from the people, without even them realizing it! Now, it is difficult to make the case for the Wall Streeters and the bad government policies of the world without being the devil’s advocate here. Yes, they took people’s money and gambled it away and yes, the baffled American government didn’t really do the best damage control in the world. But the point remains, that it happened and lessons WERE learnt (contrary to popular perception!). 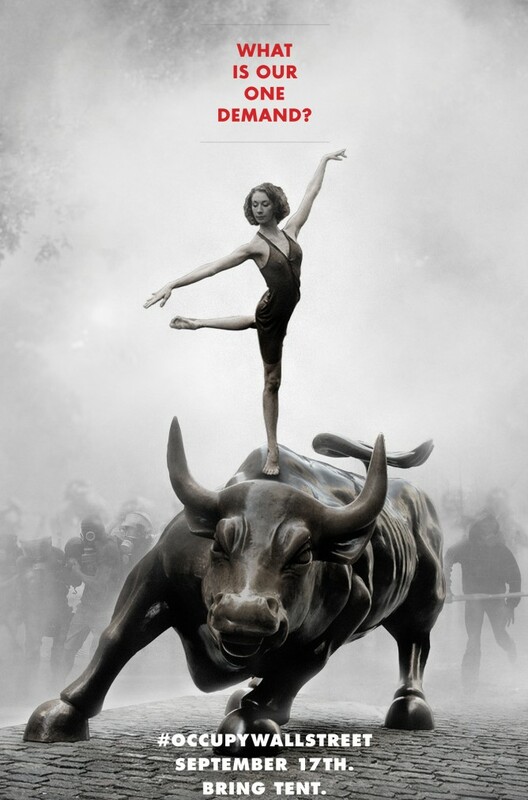 Now putting all the wrong doers to justice (which happens to be one of the protesters demands) would mean a complete change in leadership across all big banks around the world. 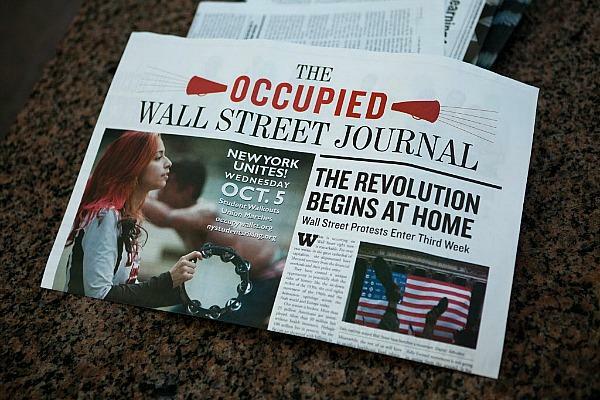 Now the people did say “occupy” the Wall Street but do they actually intend to RUN it?! The common thread running through both the movements (Indian and American) seems to be the people’s frustration with the systems of justice in place. But both the protests also have a common flaw, the demands are too haphazard and can be easily manipulated. The more successful revolutions have been led by just one reason, the Tahrir square was all about getting Mubarak to leave and that’s that. The people in that case knew the real root cause of their problems and were not just gathering in a park to state them. Corruption is so deep-rooted in our behavior that a real protest will have to be that of protesting the mindset of our billion and not add another law to the thousands of legislations in our country. 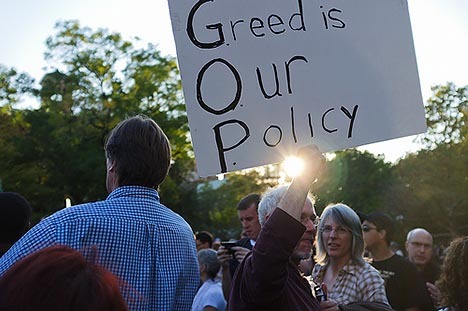 Capitalism and greed, similarly is the American people’s brainchild, so no matter how hard they try, they know deep down the only reason they are crying is because they can no longer take loans without repaying them. At the end of the day, protesters in both countries end up sounding like whiny kids who don’t really know what to do about their problems. So Micheal Moore would be really adept at telling the big bosses, they got it wrong but does he really have a solution?